To provide an employee or other person access to TimeLive, you must add them as an Employee in TimeLive. Typically an employee record should be created in TimeLive to allow that employee to enter perform their daily operations through timelive including task management, time entry, expense entry, project management etc. By Default, there are 7 types of Employee Types already exist in the application. An administrator can delete/change it as per the company requirement. An administrator can add new Employee Type based on their own organization requirements. Click Employee Types icon under Organization Setup. Click + Add Employee Type green button at the top right. The name of your new Employee Type. Don’t worry, you can always change this later. Click Is Vendor if you are adding this for Quickbooks. Now click the green Add Employee Type Button. 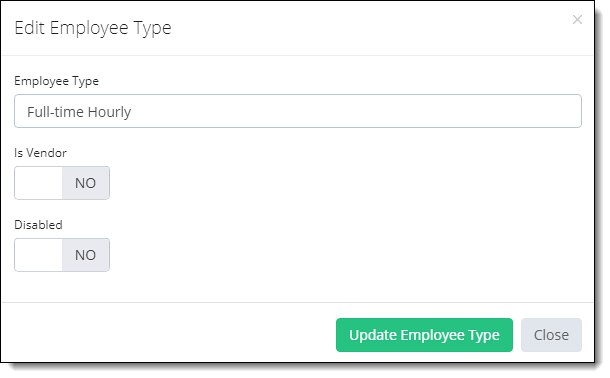 Your new Employee Type will be created and then immediately appear on your Employee Types grid. 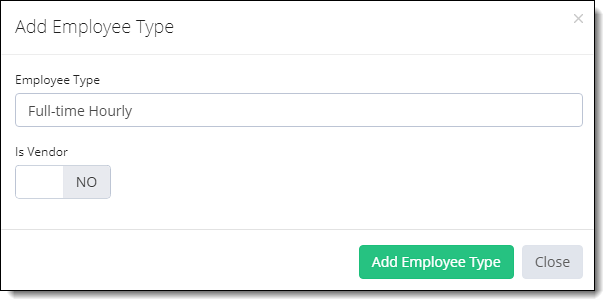 Click Options with Gear Icon against the Employee Type you want to Edit/change name then click Edit Employee Type Button. Employee Type Popup will appear, where you can change the Employee Type Name. After making changes, click Update Employee Type Button. Click Update Employee Type button. Click Options with Gear Icon against the Employee Type you want to Delete then click Delete Button.